Connor WilsonBox lacrosse is booming in the US. I’m not arguing that everyone everywhere is playing it, or that field lacrosse is fading to a secondary status, but box lacrosse is definitely moving on up in the world of United States lacrosse, and these last couple of years of action are only the beginning. 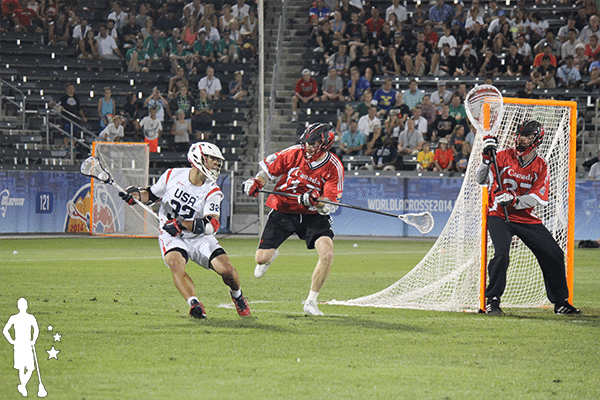 The first major hint that box lacrosse was set for a mini boom was the success that Canadian players were seeing at the D1 level. Initially, the focus was on the top scorers in D1 lacrosse, and for a couple of seasons this trend rolled on unabated. When you look at the 2008, 2009, and 2010 seasons, you see box guys all over the place. Although there was a slight dip in 2011, in the 2012 and 2013 seasons, at least 40% of the players in the top ten for goals per game still had a box background. Fast forward to 2014 and 4 of the top 10 scorers are heavy box background guys, and when you look at the 11-20 spots on the goals per game list, 5 out of 10 of the players are still heavy box background guys. 9 out of 20 is still a lot of scoring talent to come from the box. There used to be a debate as to whether box prepared you for field success. That debate is now settled. Box makes you a better field scorer. More and more Canadian field players are coming down to play US college ball, but not all of them are attackmen! We’re seeing a lot more midfielders from Canada, more poles, and we’ve even seen a couple of lights out field goalies. While many of these guys grow up playing a lot of field, they also play box for the most part, and these are often the poles who can score, the middies who can take and give punishment, and the goalies who seem to save everything. The box influence has moved on to all positions and parts of the game. And American field players don’t want to be left behind. US Lacrosse prides itself on being the biggest and best run national governing body out there. No one does a convention like USL. No one puts their field national team players through such an intense workout leading up to the WLC. And NO ONE is expected to bring home the gold like the USA. 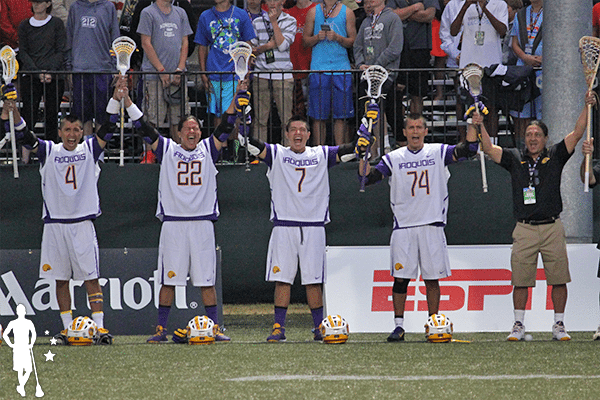 Other countries might not expect it (many still do), but fans of US Lacrosse expect it. They expect it now in field, and they will expect it soon in box. The pressure to succeed will be very real from both the small existing US box lacrosse community and the general population. Fans of Team USA expect them to win in any sport. Lacrosse is no different. If Team USA falters, doesn’t medal this year, or loses to a surprising opponent, the blame will fall squarely on US Lacrosse, as it should. USL knows this, and yet they still took on the national box team. To me, this says they will dedicate resources to it. Others Are Still Passionately Involved Though! While USL has taken over the management of the US Men’s National Team, they have not taken over management of the U19 team which will compete alongside the WILC at a festival. USL did not put together a team so the USIL will run this team, and by having this group involved in the national programs, I am hopeful a bridge can be built. The CLA has ended up in a similar situation with CLAX (a smaller start up league in Canada) to run a Canadian U19 team, so it’s not exactly weird this to happen. If it leads to cooperation, I’m all for it! Will it lead to cooperation? That’s the big question! If US Lacrosse can get guys like Randy Fraser, Shaydon Santos, Anthony Kelly, Brian Langtry, Casey Powell, as well as the current US box team coaches, and many others, involved in teaching the game the right way and creating a real community, then the sky is the limit. Box lacrosse was fragmented in the US, and has been for years. US Lacrosse was really the only group that could oversee it all somewhat objectively. If these smaller groups can get together and work with USL, you would have a solid structure (USL) and a strong base (USIL, AILA, USBOXLA, etc). That could work wonders. People close to the box world have said this can’t happen, but their reasoning is usually based off of past experience. Can’t things change eventually? If no, why not? I have not heard a compelling argument there, at least not yet. 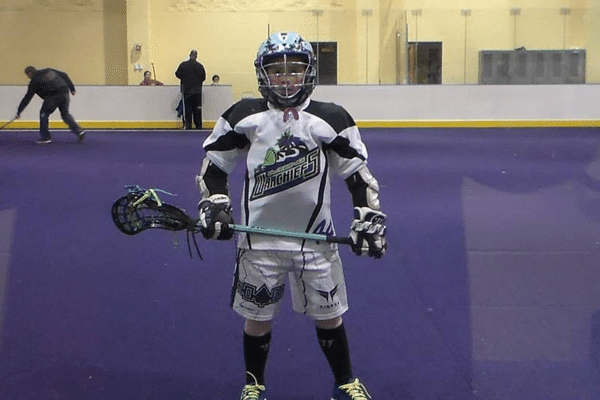 More and more kids out there are looking for box lacrosse opportunities, not only because they want to improve, but also because it looks like fun. Some of these kids are the hyper-dedicated kids, while others are just looking to play some sports that are fast paced and enjoyable. This is true in NYC, and after speaking to coaches in other parts of the country, it seems true nationwide. Kids want to play more lacrosse, they want to have fun, and they want to try box. Where there is demand, supply often pops up! Everyone freaked out a little when Loyola showed off their winter box lacrosse program. You had some box enthusiasts blasting it because it wasn’t “real” box. You had field traditionalists blasting it as waste of time. And then you had people like me saying “Finally!” Everyone else seemed sort of nonplussed about the whole thing. But fast forward a couple of years and it turns out that a number of programs are now employing box lacrosse, or their version of it, especially during the winter months. College teams can use gymnasiums for the program and don’t need a full field house or turf field. It gives their players a chance to compete against, but also with, each other. It hardens the players up before they hit the field in the Spring, and everyone gets lots of touches. No one can hide out there! Subscribe to the LaxAllStars YouTube Channel for more great lacrosse video! Coaches clearly see the value in it, and so do players. The added benefit moving forward is that now more D1 college graduates have gotten a taste of box lacrosse. Sure, it might have been in a gym, without real padding, and with reduced cross checking, but the chance is still there for more top level players to find a future in the game. A little exposure can go a long way. While the Vermont Voyageurs are still the top dog when it comes to US based box clubs, there does seem to be some movement towards a more formalized club system. There have even been talks about setting up a men’s club league based out of Boston, Vermont, Syracuse, New Jersey, and Philly. If a couple more men’s clubs can pop up in the NorthEast, this could happen in the span of one or two years. It would be pro, but it would be good, high quality lacrosse. That will be a huge step, because once a men’s league has been established, a junior program might not be that far off! So while the kids and the college guys are all getting into modified box lacrosse, there are more “old men” playing box now in the US than I can ever remember. There are leagues in Boston, NYC, Philly, Upstate NY, California, Minnesota, Kentucky, Florida, Texas, New Jersey, and a hundred other places. While most of the players are college graduates, some are younger, and this also helps with the growth and popularity of the sport. Old Man Box means that the sport is forming a culture and identity in our country. While these guys might not be traveling to Canada for games, they are doing what they can at home instead. They are doing it because they love it, and have no NLL dreams. A hat trick on Tuesday night against our buddies is enough for us! The fact that people pay and get out for this kind of stuff means they like it. There is no other reason for it to happen. So the more old man box we see, the more people are willing to do whatever to play this version of the game. It might not lead to future success (we’re over the hill) but it does seem to serve as a decent barometer for general interest. The US still has a long way to go when it comes to box lacrosse really picking up in popularity, but to me it’s pretty clear that a movement is under way and gaining steam. I don’t expect the change to happen overnight, but as the months and next couple of years pass, I think we will see more and more box lacrosse activity in the US. There are certainly hurdles to overcome (standardizing rules, helmets, insurance issues, fighting, misconceptions by parents, etc) but people want to play box, and that means they will find a way to make it happen. Something has changed in the world of US Box Lacrosse, it just might take us a couple of years to realize that change has already started. The world of US box lacrosse is still small, so the boom isn’t huge, but I do believe it’s noticeable. There are a lot of unknowns in my article above, and I can’t be sure as to how this whole thing will play out, but for now, it looks like it’s on an upward trajectory, and as one of those “crazy box converts” I’m happy to see it happen.